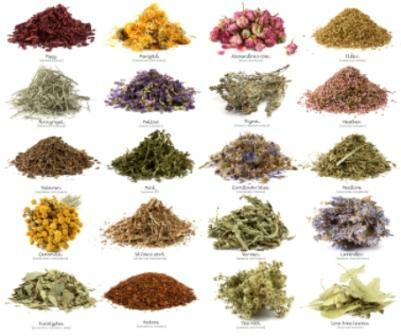 Herbal teas make for wonderful, low calorie and relaxing drinks. 1. Nettle Nettle is made with the leaves of stinging nettle, named for the tiny hairs on the fresh leaves which can sting the skin. Despite it’s rough exterior, nettle is one of nature’s best remedies for an assortment of ailments including anemia, high blood pressure, rheumatism, arthritis, coughs and colds, congestion, urinary tract infections, and kidney and bladder problems. Chamomile is a popular herb that’s used in teas worldwide. Chamomile soothes the stomach and relieves bloating and indigestion. Chamomile also calms the mind and helps people relax and deal better with their stresses. Some people are allergic to chamomile and should avoid taking the tea. People who find it hard to go to sleep should drink a cup of chamomile tea before going to bed. Chamomile is known to fight insomnia by relaxing the body and the mind, enabling the person to fall asleep naturally. Ginger is an energizer and a stimulator. Drinking ginger tea both stimulates and soothes the digestive system. Ginger has been known to aid people experiencing nausea. Arthritic people have found ginger tea helpful since it has anti-inflammatory properties. Peppermint is a fragrant herb that makes for a soothing drink. Peppermint helps you digest foods better and also reduces flatulence and digestive issues. Peppermint is prescribed to people with IBS (irritable bowel syndrome) and gallstones in capsules. A cup of peppermint tea will ease nausea and vomiting, especially if you suffer motion sickness. If you have heartburn, don’t drink peppermint tea as this might aggravate your condition. Peppermint tea brings down the severity of herpes outbreaks. The natural mint flavor of the herb helps to freshen your breath. Other health benefits of this tea are control of muscle aches and chronic pain, clearing of congestion and mild coughs, mild asthma and reduction of stress. Lavender tea is made out of the dried purple, pink and white colored flowers that grow on lavender shrubs. Used as a scented herb for many centuries, lavender’s medicinal uses have been appreciated and documented for centuries. A cup of lavender tea can soothe your mind and body, inducing sleep. If you are feeling down and depressed, a cup of lavender tea can help uplift your spirit. Lavender tea helps sooth and treat flatulence, colic, bowel infections and an upset stomach. Lavender tea can be used as a wash on the chest to help reduce cough, bronchitis, asthma, cold and other respiratory issues. For both children and adults, lavender is used to reduce body temperature during fever. Lavender also has healing properties; use a wash of lavender tea to help heal wounds, cuts, ulcers and sores. Lemon balm tea is fragrant to drink and is a very effective tonic to calm nerves and anxiety. Cold lemon balm tea bags help relieve cold sores, or genital sores caused by the herpes simplex virus. Mix lemon balm leaves with valerian to treat anxiety, stress and insomnia. Lemon Balm contains several properties, which control herpes and also regulate the thyroid. Lemon balm when mixed with peppermint can calm an upset stomach, sooth the digestive track and reduce flatulence. Drink lemon balm tea if you suffer from nerve pain. Drinking lemon balm tea also helps strengthen memory and brain functions and also uplifts one’s mood. Rosemary is not only good for cooking but makes a healthful and highly beneficial tea. Rosemary can help your muscles to relax. Additionally, rosemary is an effective digestive aid as well. If you have gall bladder and liver complaints, drinking rosemary tea regularly will greatly help relieve your symptoms. Rosemary tea also relieves cough and mild asthma symptoms. Dried Hibiscus flowers are made into a tea that offers very high health benefits. Hibiscus tea is known to lower blood pressure, reduce high cholesterol and strengthen the immune system (it’s rich in Vitamin C). Hibiscus flower infusions have known to reduce hypertension as well, in people prone to this condition. A recent study reveals that hibiscus tea is rich in antioxidants, which protect the body against cell-damaging free radicals. Red zinger tea and sorrel tea contain hibiscus. Green Tea comes with such a host of health benefits, that it’s called the ‘wonder herb’ by tea drinkers and medical practitioners alike. Drinking green tea lowers cancer risk and also inhibits carcinogenic in cigarettes and other compounds when imbibed. Green Tea contains potent antioxidants called polyphenols, which help suppress free radicals. Green tea also stops certain tumors from forming. Green tea lowers cholesterol and triglyceride levels and thereby promotes heart health. Green tea also lowers blood pressure, prevents and fights tooth decay and dental issues, and inhibits different viruses from causing illnesses. 10. Cardamom Tea Cardamom is an evergreen plant that’s grown mainly in India and Guatemala. Both dried white cardamom flowers and the sweetly aromatic seeds are used to make tea. Cardamom tea has a pungent, sweet and aromatic flavor. Cardamom tea helps treat indigestion, prevents stomach pain, and relieves flatulence. It’s also helpful to drink a glass of cardamom tea if you are feeling nauseous. Cardamom tea fights pulmonary disease where lots of phlegm is present. It also works as a good expectorant and relieves coughs. If you have drunk too many cups of coffee, drink a couple of cups of cardamom tea to help detoxify the caffeine from your system. Drinking a cup of cardamom tea is helpful for women who experience mood swings during their menstrual period. When consumed as a tea, milk thistle herb, (not as in dairy milk) is a gentle liver cleanser. It contains properties that help the liver to regenerate and function at a higher capacity. “Milk Thistle can also assist in the production of bile, which can help with our digestive process. Rosehips are the fruit of the rose plant and are one of the best plant sources of vitamin C, which is important for the immune system, skin and tissue health and adrenal function. Consider reaching for rosehip tea next time you need a health boost. You may want to copy and print these tips for the next time you’re in the tea aisle, so you can make a knowledgeable selection. The citrusy tang that comes from the lemongrass plant is favored in cooking as well as tea. Lemongrass teas are often served as an after-dinner drink to aid digestion—primarily due to a substance called citral, also the active ingredient in lemon peels. Though typically enjoyed unaccompanied by other herbs, it can also be blended to create lemon-flavored teas like Lemon Zinger. Echinacea is widely used to prevent or cure the common cold. It’s a powerful herb that contains active substances that enhance the activity of the immune system, relieve pain, reduce inflammation and have antioxidant effects. The leaves and flowers of the uppermost part of the plant are the section believed to contain polysaccharides (a substance known to trigger the activity of the immune system). 15.Blackberry leaves Picked, dried in the sun and infused with boiling water, blackberry leaves are the essence of most berry-flavored teas. Studies suggest that the leaves contain a healthy dose of flavonoids, which are known for their antioxidant activity. 16. Hawthorn The leaves, flowers and berries of the hawthorn plant are used in a variety of peach- and berry-flavored teas. The plant is believed to contain flavonoid-like complexes that help improve cardiovascular health by helping to relax and dilate blood vessels, which increases blood circulation and lessens stress on the heart. Hawthorn berries are also believed to relieve water retention by draining the body of excess salt. #RBG FIT CLUB Toasting to Good Health! This entry was posted in KNOWLEDGE, NUTRITION by RBGFITCLUB. Bookmark the permalink. How about Rooibos as well? Hawthorn Tea is My FAV!!! Great info!!! Numi tea is an organic tea brand. 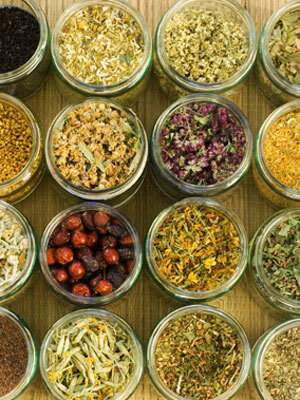 However, if you check your local healthfood store they typically carry the loose herbs that you can use. Another GREAT tea is ROOIBOS. Oftentimes, people call it RED TEA. It is AFRICAN & fantastic. I also used to purchase GREEN ROOIBOS TEA from NUMI many years ago but have not been able to find it lately. TE’ TEA and REVOLUTION are other great brands that carry organic. However to keep the price low, I have used loose leaf jasmine tea and added lemon grass, cardamon seeds, cininnamon stick (small piece) and put some in a container to make fresh and it is wonderful CINNAMON STICKS ARE GREAT FOR APPETITE SUPPRESSION, BLOOD PURIFIER ANS HELPS WITH DIABITIES. ADDING IT TO FOOD AND TEA IS A MUST for any heathy adult as we mature! Dandelion Root tea is another great one! I hope this helps. I love tea! i hated rooibos, it was terrible for me. it can also cause problems for herpes sufferes. but it just goes to show teas are different for everyone. one shouls experiment and keep and open mind. Peace. Thank-you for providing these all in 1 place!!! 1993 I gave birth to my son and soon after I became short of breath Anise saved my life when doctors was calling my heart failure asthma I began to drink anise and it took six months and a ICCU before they got it right when the doctors asked me how did i last so long I told them I began drinking anise six months ago which relieve the congestion I was having. Hawthorn tea made my blood pressure drop from 135/95 to its normal 115/75 in a week of drinking it 2x a day. Its magic. I like to make INFUSIONS with nettle, raspberry, blackberry, alfalfa leaves – the herbs are steeped 4-8 hours (or overnight) -place a small scoop of each or a larger amount of one in a quart jar, cover with boiling water, add a bit of honey if you wish, cap & wait awhile to decant! Brings out more of the minerals. I usually steep a second time, after we’ve poured off the first infusion. Hmmm… Hibiscus flower and sorrel are not the same thing, they are very different. Milk thistle seed do not make a good tea, since the active constituent (silymarin) is not water soluble. Blackberry leaf does not taste like blackberries, and I would recommend raspberry leaf over that because it is easier to find and is just about the same. The most important, common benefit: strengthening the internal organs, including the uterus and intestines, making it a common brew in pregnancy to ease childbirth, and the intestines in the case of digestive disorders such as IBS. I don’t think hawthorn berries eliminate salt, but they can in fact regulate the blood pressure (high or low, most commonly high). Also check out Cerassie tea – aka Serocee aka Bitter Melon. An amazing blood purifier. Nothing melts the stress away like Lavender tea. It really helps you ‘see’ the beauty around you. Delicious list of teas! I found myself surprised that you refer to this as a “grocery list”, because my local grocery stores don’t carry most if these teas. Maybe its just where i live. I have to get most of my tea online. My favorite brand of tea right now is Terravita because they seem to have hundreds of different teas. I have their organic lavender tea (http://www.ZooScape.com/cgi-bin/maitred/GreenCanyon/questc101136) and it is awesome! I think I will try their stinging nettle tea too, after reading your description of it.